As cities re-develop and re-define themselves in new urban and sustainable ways, mixed-used mini-cities are becoming popular oasises in the midst of traditional metropolitan areas. In Houston, Texas, one of such, ‘city-with-in-a-city’ exists and is called Memorial City. It is 7.6 million SF of a place that intertwines the living, shopping, working and play parts of its population’s lives. 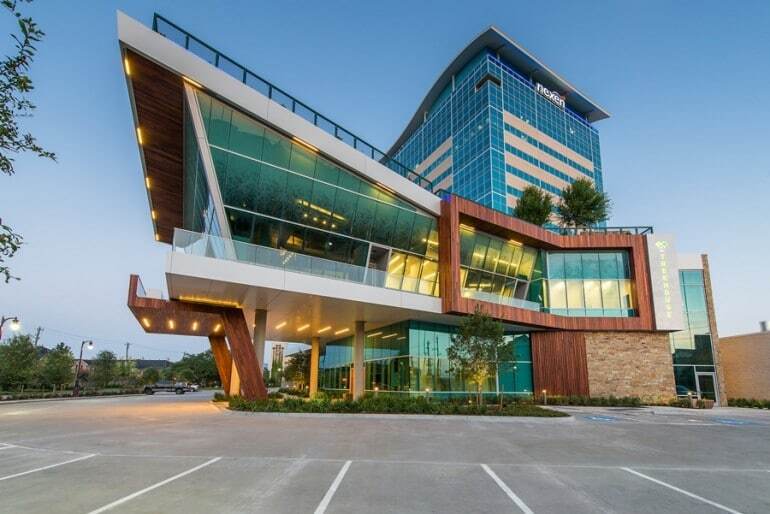 Part of that headquarters is a 14,700 SF, 2-floor mixed-use building called the “Treehouse.” It is designed by MetroNational and is not a tree-house at all but is named that because they want visitors to the space to use their imagination and be creative like kids in a tree-house do. It is a meeting and conference building. 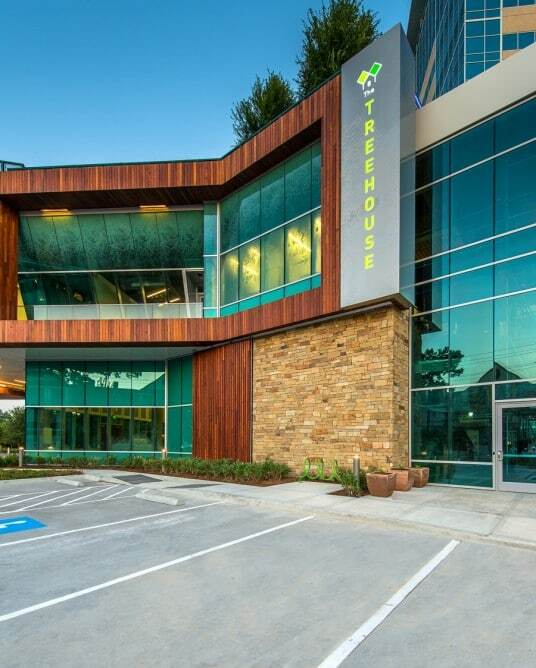 The Treehouse in Memorial City is a technologically advanced, environmentally sound and stimulating building. It is awaiting the platinum LEED certification, which is the highest level given by the LEED organization. The Treehouse building is a small part of Memorial City which is a small step in Houston as a city becoming a better place for people to live. This is just another small step toward a sustainable urban future and an example that other cities and ‘city-with-in-city’ spaces can used to becoming more thriving environments. Can a Bubble Protect Beijing? Jennifer grew up in Colorado, moved around to multiple states for college and recently came back home. She is currently focusing on interior design, sustainable practices and traveling. She is focusing on getting a career to combine these three loves. Jennifer has two cats named Prada and Dior-aptly named after her shoe obsession. You can follow Jennifer on twitter @jenshock81.